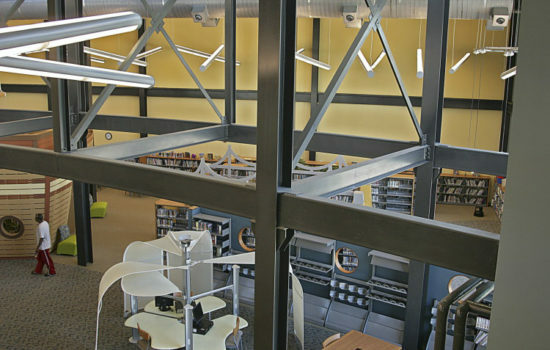 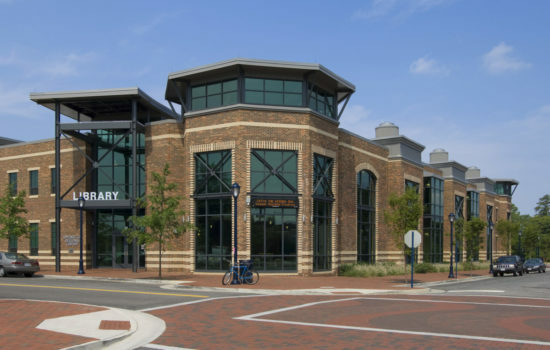 Situated at the heart of Hopewell’s new master plan, the Maude Langhorne Nelson Library serves as a reminder of the city’s rich industrial and geographic heritage while providing visitors access to state-of-the-art features. 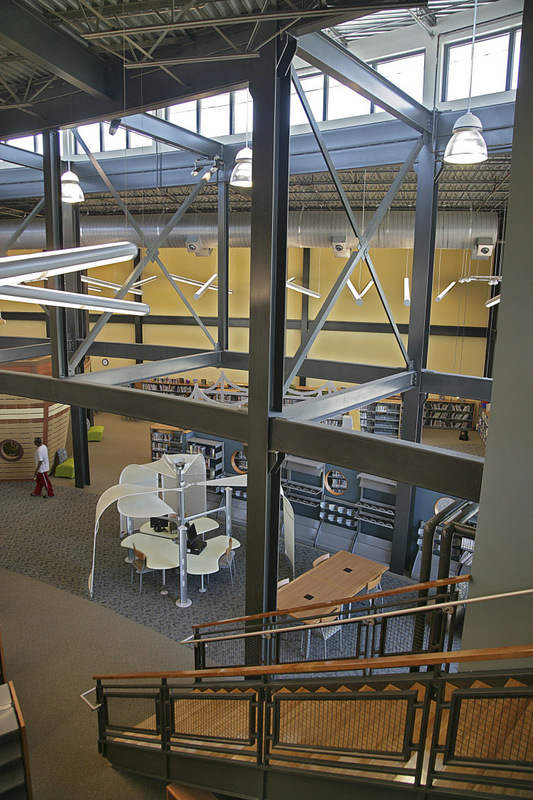 A beacon in the newly revitalized downtown, the library embodies the dichotomies of the city: old and new, past and present, industry and environment. 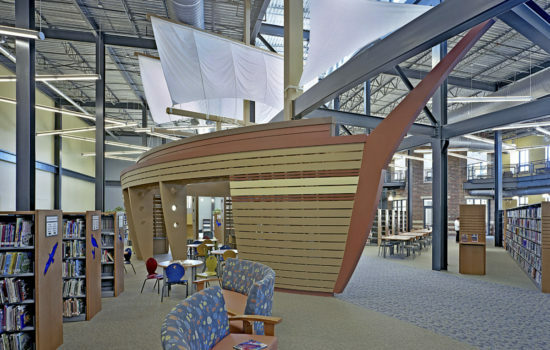 Hopewell was founded in 1622 when the Good Ship Hopewell landed in what is now Virginia. 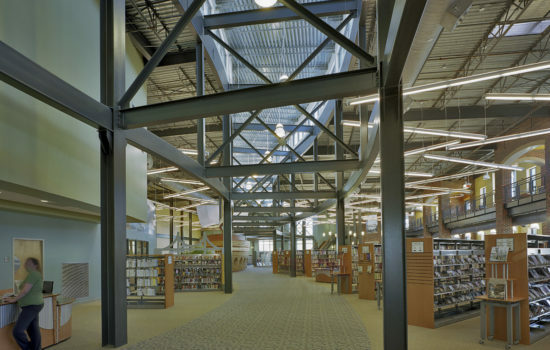 The city grew into an industrial stronghold, with an abundance of warehouses and power plants. 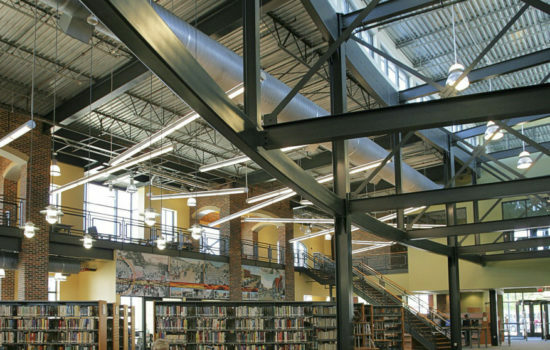 The new library honors this heritage, taking inspiration for its exterior form from the large glazed openings, brick walls and painted steel framing of typical turn-of-the-century warehouses. 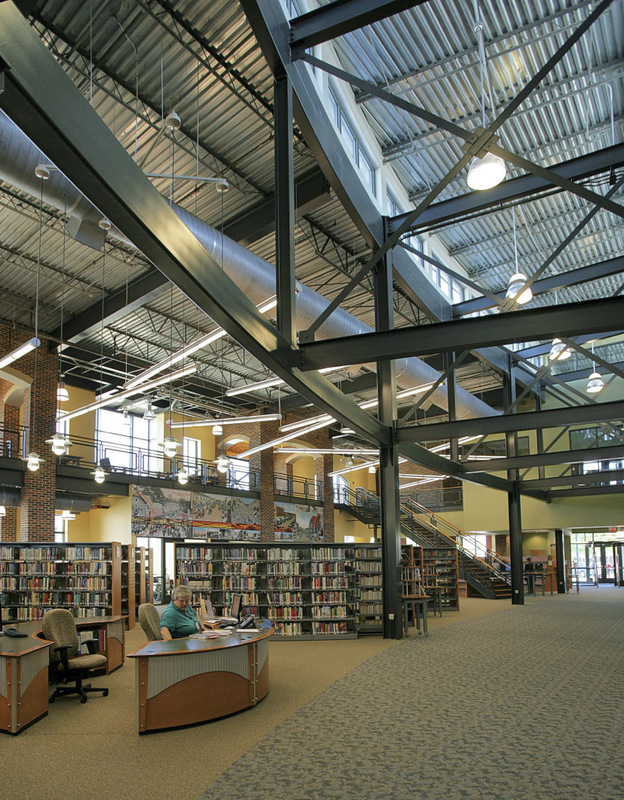 The interior features exposed structure and mechanical ductwork as well as warm wood and brick tones. 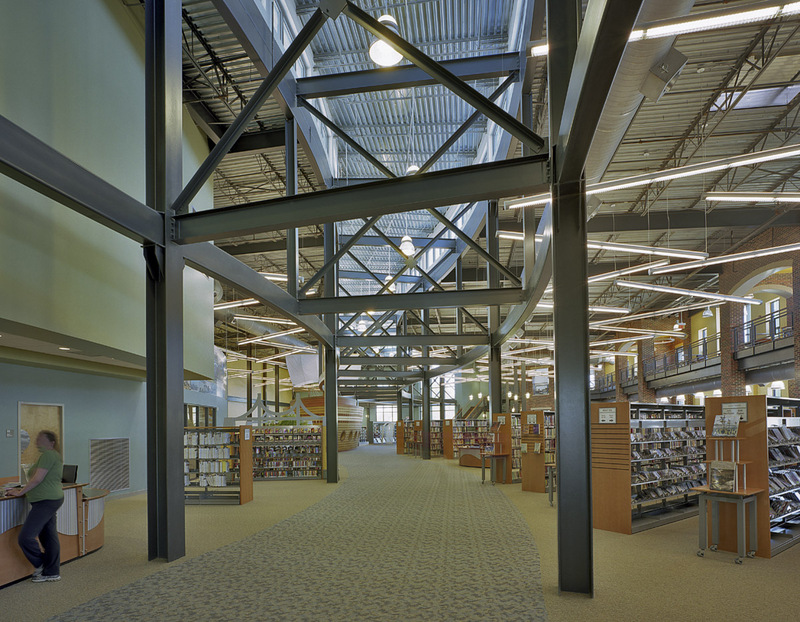 A meandering “river” and a steel-framed spine with clerestory window system organize the plan, serving as the library’s main circulation path. 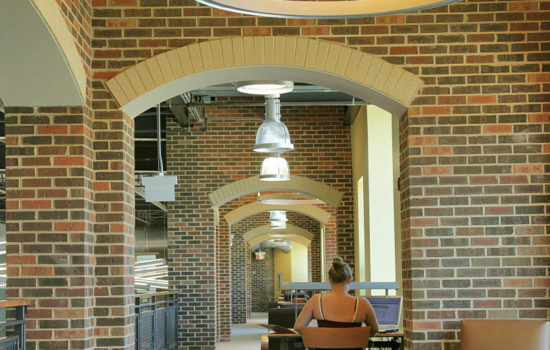 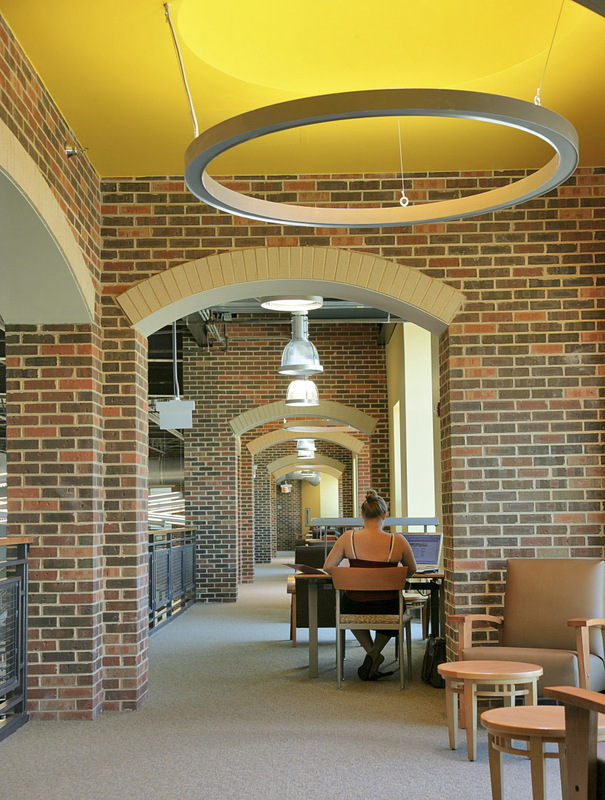 A secondary “river” leads up to the regional library offices on the second floor, meandering through collaborative study spaces. 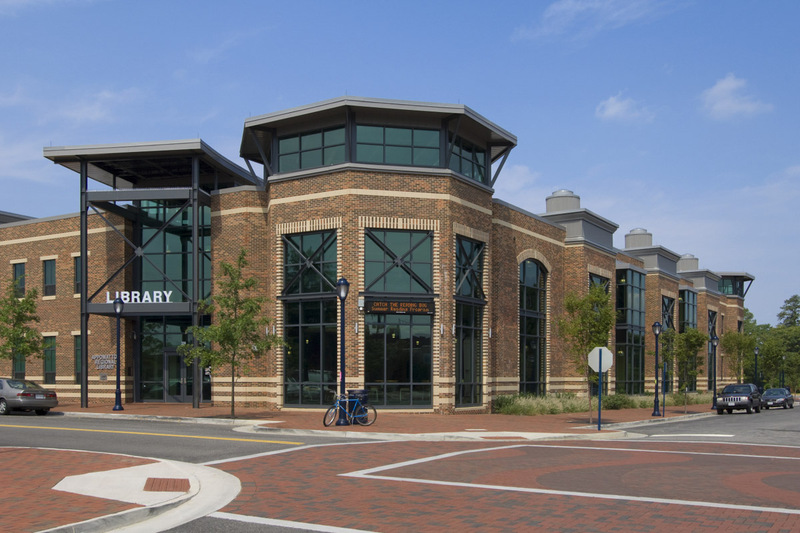 The intersection of these two rivers represents the confluence of the Appomattox and James Rivers where Hopewell is situated. 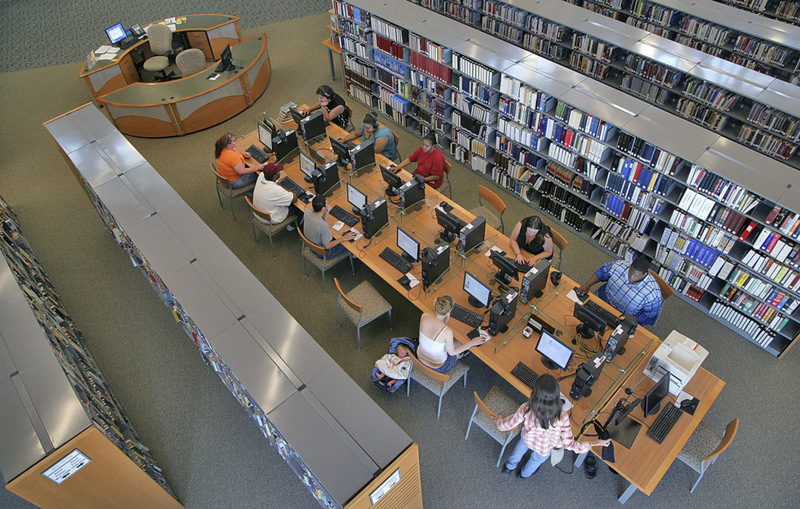 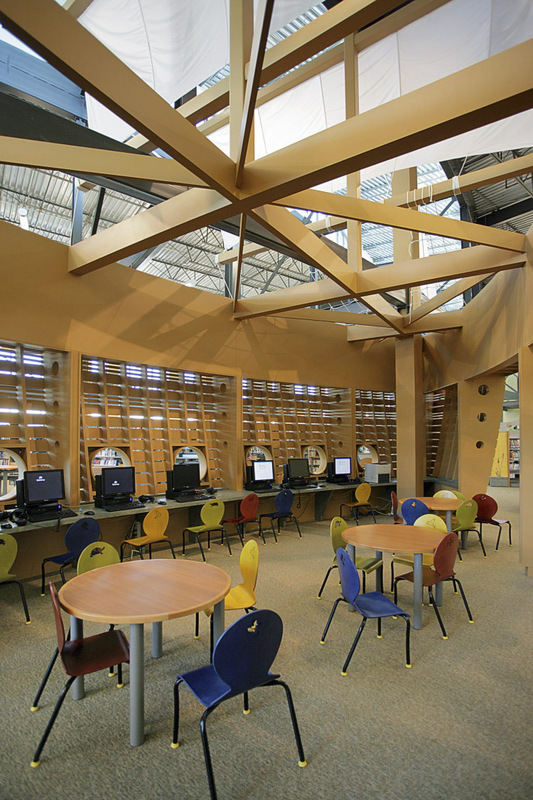 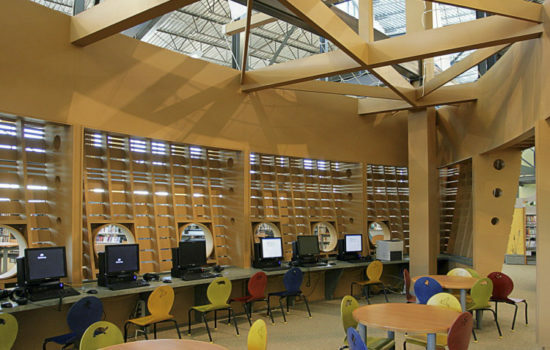 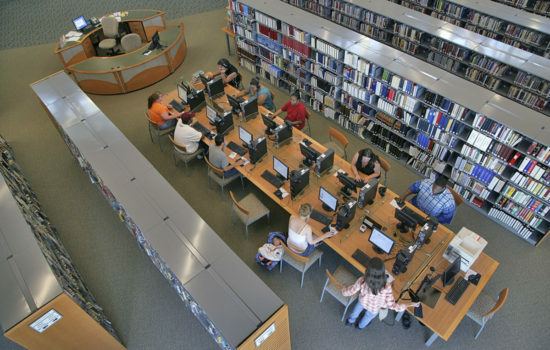 The library includes a large adult area, children’s area, cyber cafe, seating and computer areas, a meeting room, and support spaces. 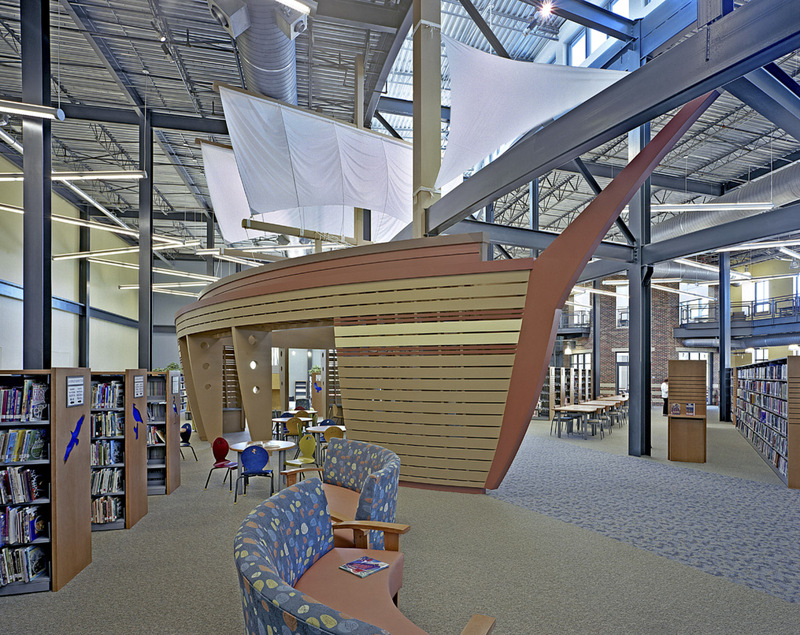 Notably, the children’s area features a replica of the Good Ship Hopewell, which reflects the city’s past and supports the future education of the children who enjoy it.